Okay, I've been knitting. I swear. Here is the proof. 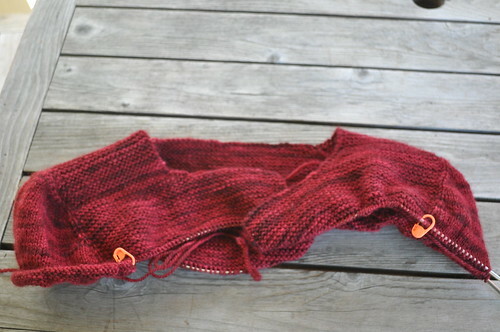 I'm knitting this in Blue Moon Fiber Arts BFL Sport in "True Blood" Red. I have screwed up in the increases on the sleeves several times. Last night I spent a good chunk of time ripping and fudging to get the numbers right again. 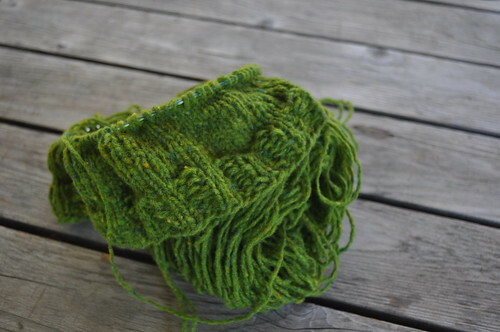 I knit the cuff on this first sock when I wanted something mindless to knit. Now I'm at the charted section and have only knit the first round. Large Lace Collar Tam and Scarf. 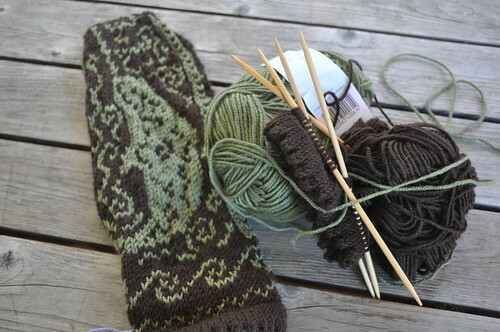 I'm knitting this for the Seattle Knitters Guild Bohus knitalong. It took me days to knit the ribbing on 0s. Now I'm into the chart. The last round I knit was in three colors with knits and purls and increases. Exhausting. 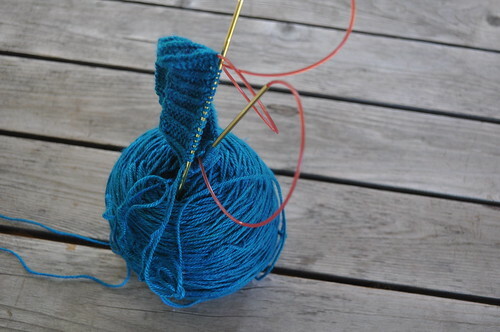 The first one is knit minus the thumb. 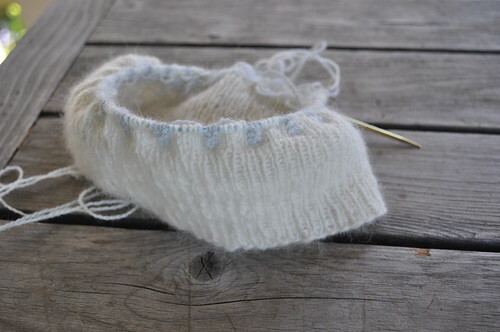 The second cuff is knit and now I need to get back to the chart. More plain and helix hats in scrap yarn. So there's your proof that I still knit. 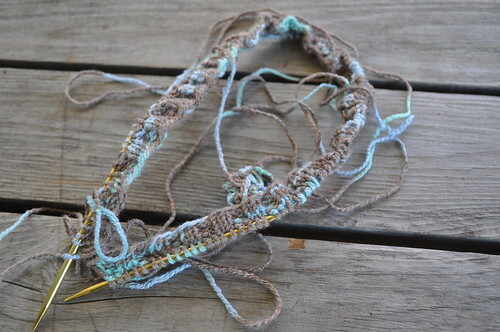 Or at least I cast on and do the edging and then let the project sit because it requires concentration. But still.